Carmichael Throne introduces the CT200-13BV High Performance Spindle Drum Throne for back pain. 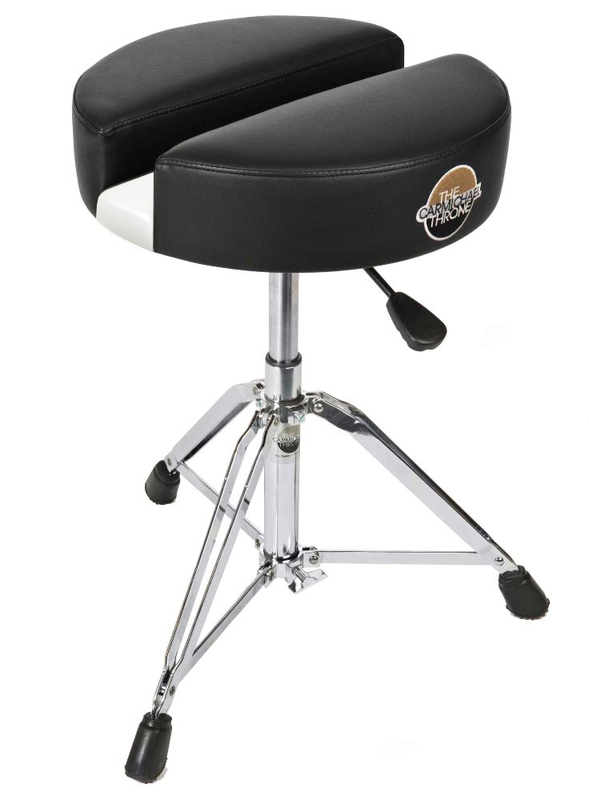 Free Floating Spine design for drummers that relieves lower back & spine pain. 13″ Dia. 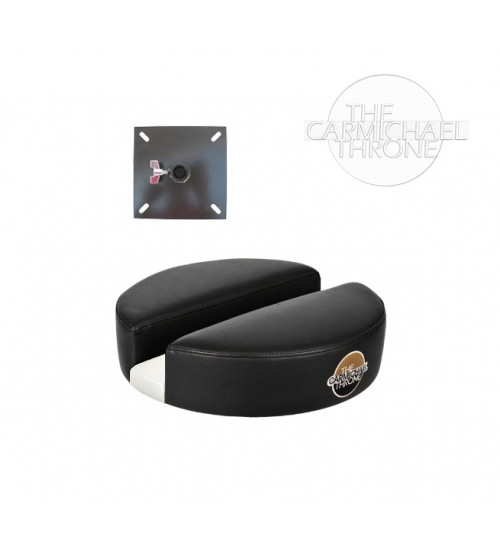 Carmichael Throne Seat Top. 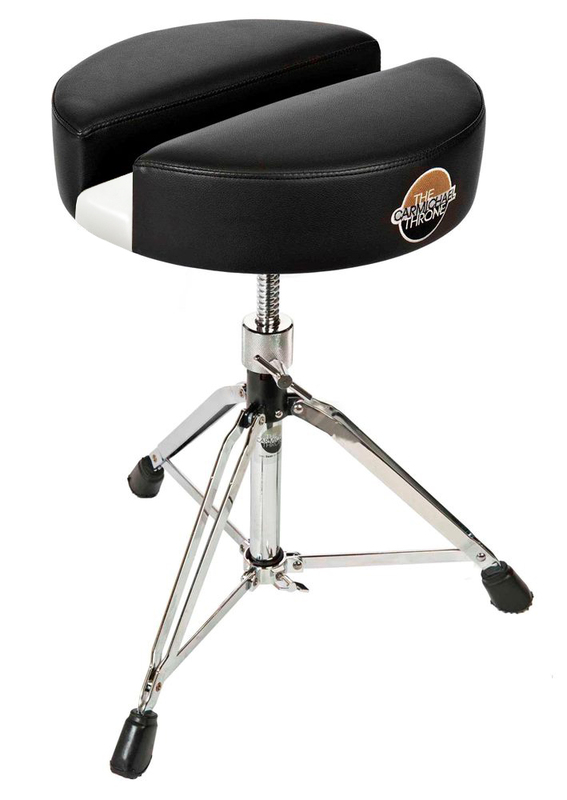 Upholstered in durable vinyl for longevity, easy maintenance and cleaning. Solid manual spindle seat mount. Adjusts from 22″ to 29″ high. This throne works wonders! I am a professional drummer in Nashville, TN, and when I first moved to town, I was playing anywhere from four to twelve hours a day in the honky tonks downtown. After months of all the sitting and playing, my back was wrecked! 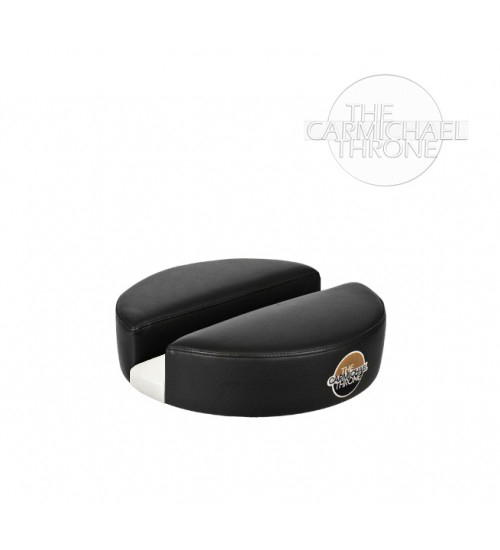 Then I happened across the Carmichael throne, and have been pain free ever since. Thank you!